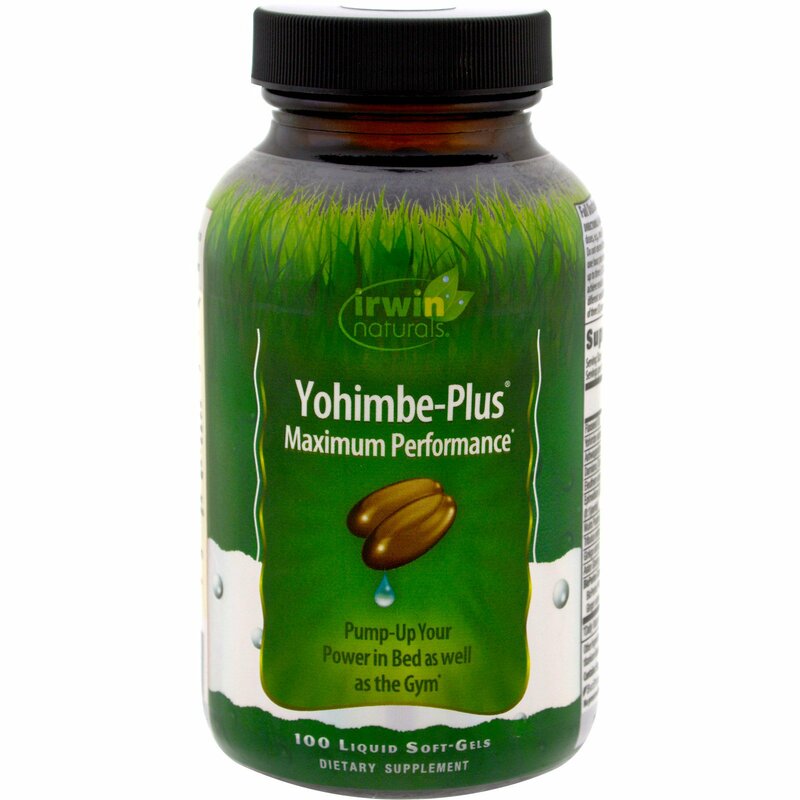 Yohimbe-Plus Maximum Performance supplies a standardized extract of Yohimbe tree bark, plus adaptogenic botanicals from around the world, including: Ashwagandha, Damiana, Eleuthero and Ginseng. Overall, this formula is designed to help boost power, vitality and inner strength. Liquid Soft Gels – The nutrients in these easy-to-swallow Liquid Soft-Gels are released fast. Other forms of delivery can contain binders and fillers that may cause stomach upset and offer no nutritional value. Advanced Liquid Soft-Gels provide an optimum delivery system. Quality Assurance – We at Irwin Naturals are committed to providing the highest quality products for your health. We employ compliance test to ensure purity and potency. Patented BioPerine – BioPerine enhances the bioavailability, absorption and potency of many nutrients. (Adult) Take one) (1) to three (3) Liquid Soft-Gels per day divided into two or more doses, e.g. one (1) or two (2) in the morning and one (1) in the afternoon with a full glass of water. Do not exceed three (3) Liquid Soft-Gels in any 24-hour period. For a more immediate response, take one hour prior to exercise or sexual activity. While the maximum serving size per 24-hour period is up to three (30 Liquid Soft-Gels, it is strongly recommended that you explore whether or not you can achieve results, at a lower dose per day. You may benefit from a smaller dose because everyone have different sensitivities to these ingredients. Start with one Liquid-Soft-Gel and build up to a maximum of three (3) per day only if needed, Take on an as needed basis. Not intended for daily use. Do not use if safety seal is broken. This products contains ingredients that may affect blood pressure and/or heart conditions. Check with your doctor before using this product and engaging in activity, if you are using medication or have any medical conditions, including heart disease, high/low blood pressure or other medical conditions. Do not use if you may become pregnant, are pregnant or nursing. Do not exceed recommended daily intake. Not intended for use by persons under 18.